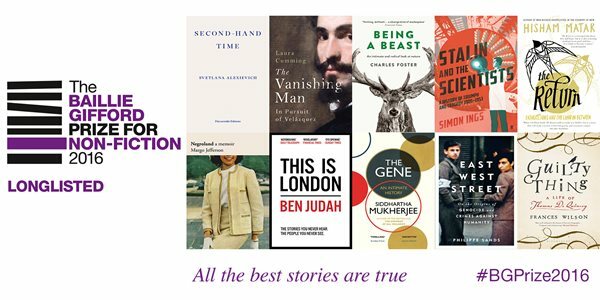 Ben Judah's This Is London has been longlisted for The 2016 Baillie Gifford Prize for Non-Fiction, which celebrates the best in non-fiction writing. Ben Judah's This Is London, an investigation into the capital's hidden immigrant population, has been longlisted for The 2016 Baillie Gifford Prize for Non-Fiction, which celebrates the best in non-fiction writing. The titles chosen by the judges span the breadth of non-fiction writing, from literary biography and history to journalism and popular science. The longlist has been chosen by a panel chaired by former BBC Economics Editor, Stephanie Flanders, together with Philip Ball, science writer and author; Jonathan Derbyshire, executive comment editor of the Financial Times; Dr Sophie Ratcliffe, scholar, writer and literary critic and Rohan Silva, co-founder of the social enterprise, Second Home. The shortlist will be announced on Monday 17 October. The winner of the 2016 prize will be announced on Tuesday 15 November.